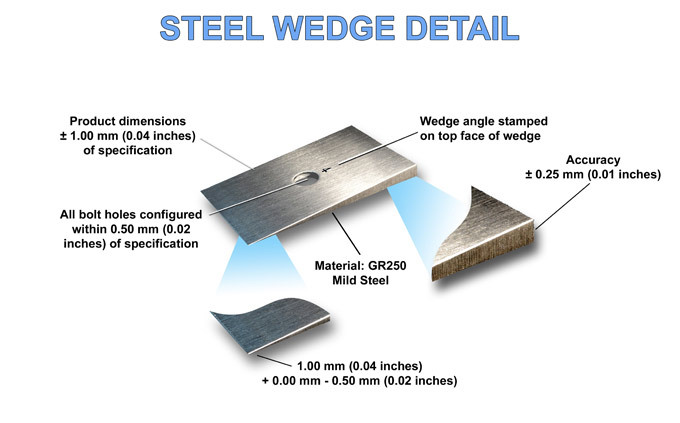 As Australia’s largest supplier of steel wedged products we supply a range of diff’ angle correction wedges which are machined to facilitate any modification you make to the diff’ geometry. General dimensions are 200 mm to 220 mm x 70 to 75 mm wide although you can specify your own dimensions to suit. 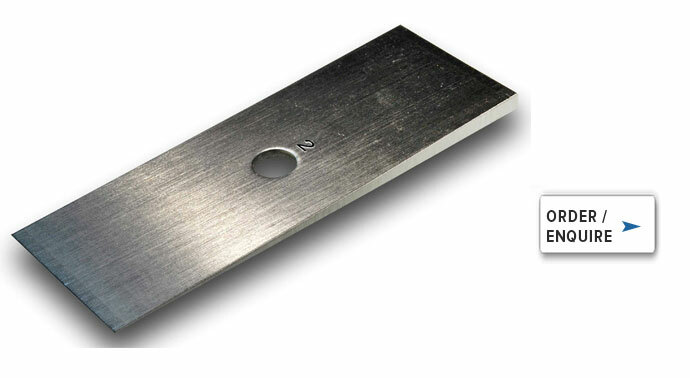 These are machined from GR250 mild steel and follow our Steel Wedge Detail specification with a low side machined to 1.0 mm or less and the high side to within 0.20mm (0.01”) of specification which will provide the minimum possible clearance at the centre hole for the replacement of the centre bolt.